Not all spaces can shelter an extensive fireplace. 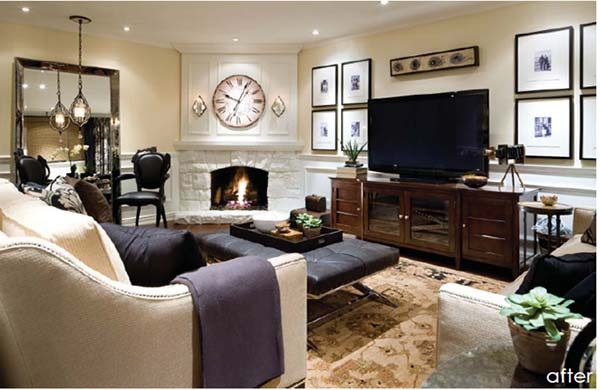 That’s why we would like to share some decorating ideas for a family room with corner fireplace. 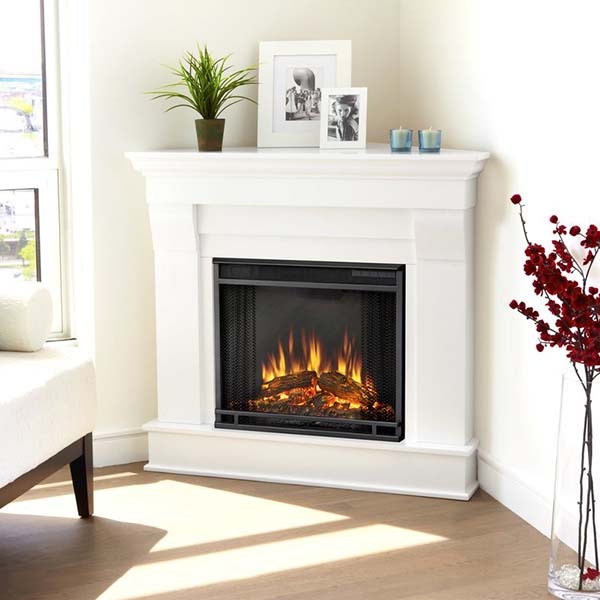 The ambiance is a timeless quality, and a great corner fireplace would easily complement your home’s tenfold. 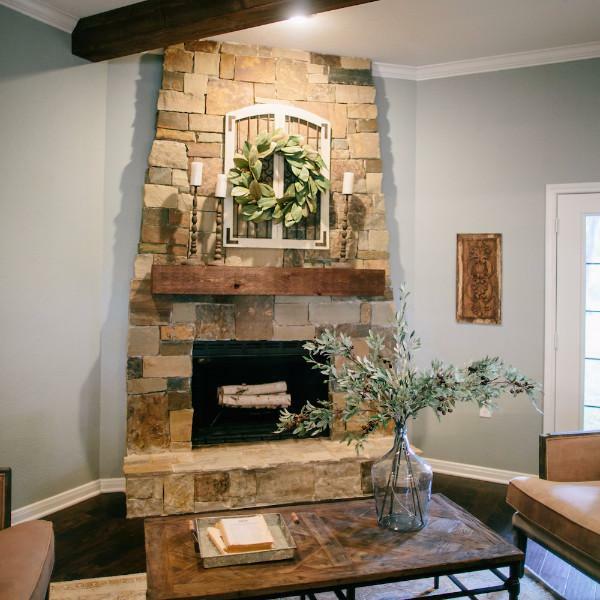 When speaking of home decor, fireplace is a cornerstone. Let’s get started with a collection of 32 amazing corner fireplace ideas (hopefully, you will choose the right fit for your home). The corner fireplace ideas in stone are usually the most wanted ones as the stone gives a natural, unrefined look to the overall design. 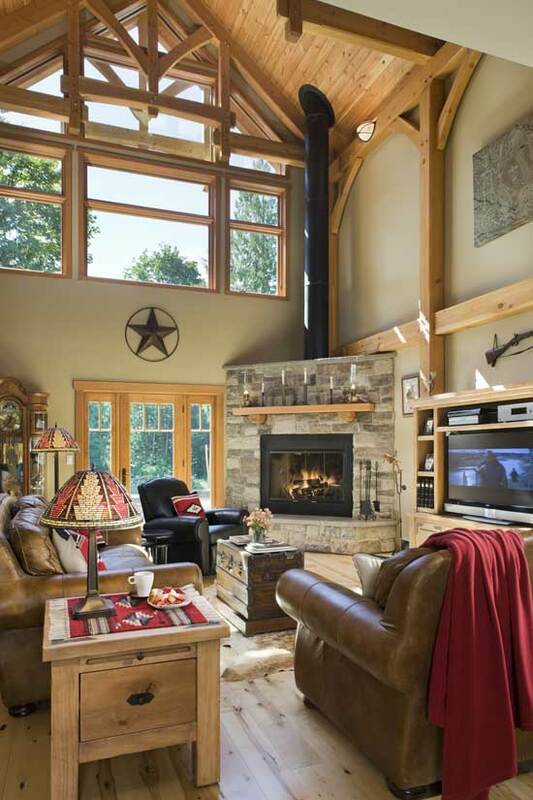 This is definitely one of the boldest living room ideas with corner fireplace I’ve ever seen as it is situated right next to the window and the sofa. That will keep you warm and cozy during the cold winter night while you are reading a book and watching the snowfall. Most of the modern corner fireplace ideas are using an electric one as it is easy to maintain and can be placed everywhere even on a carpet. 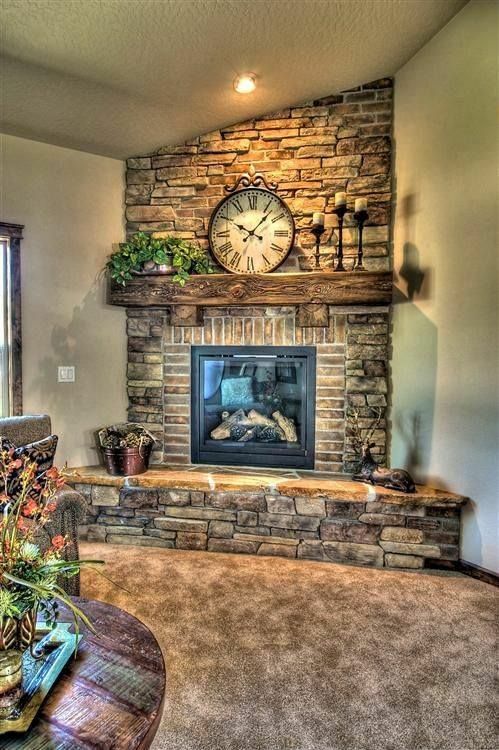 Are you looking for some rustic corner fireplace ideas? Take a look at this beautifully DIY made centerpiece made of stone. It perfectly fits the overall design and makes this living space more welcoming and cozy. Here is a great combo of luxury and bucolic. I just love the corner fireplace decor! 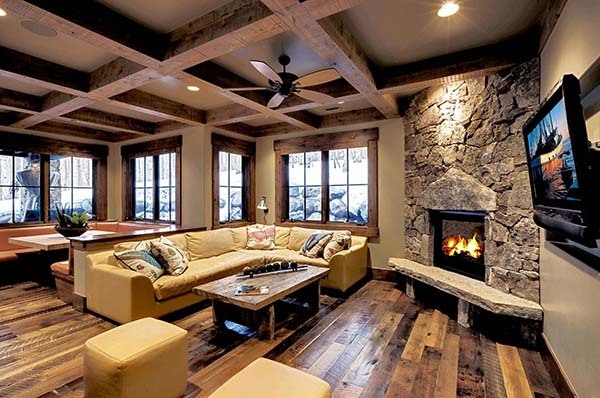 The simplicity of this corner fireplace decor, mated with the lofty ceiling and multiple windows, brings a feeling of vastness and openness to this great chalet-style living room. 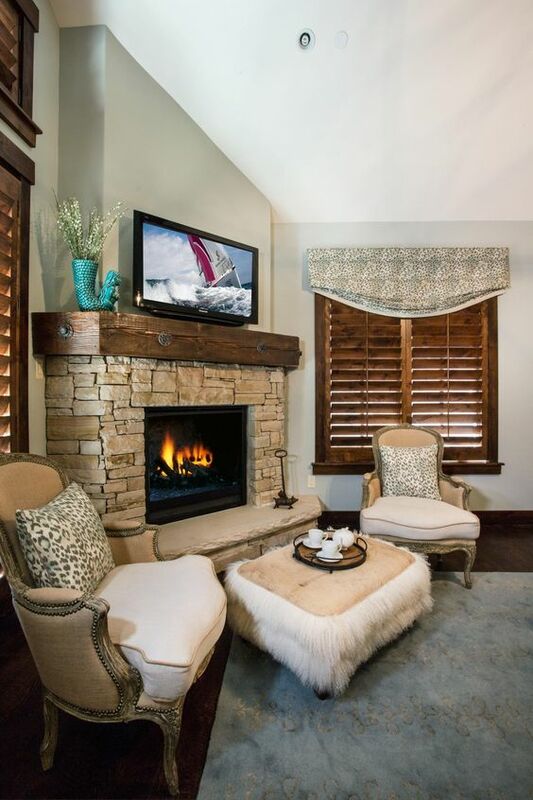 Many friends asked me to share with them some corner fireplace ideas with TV above. I have found this contemporary living space with a flat screen above the fireplace that is situated between two big windows – very unusual and bold. 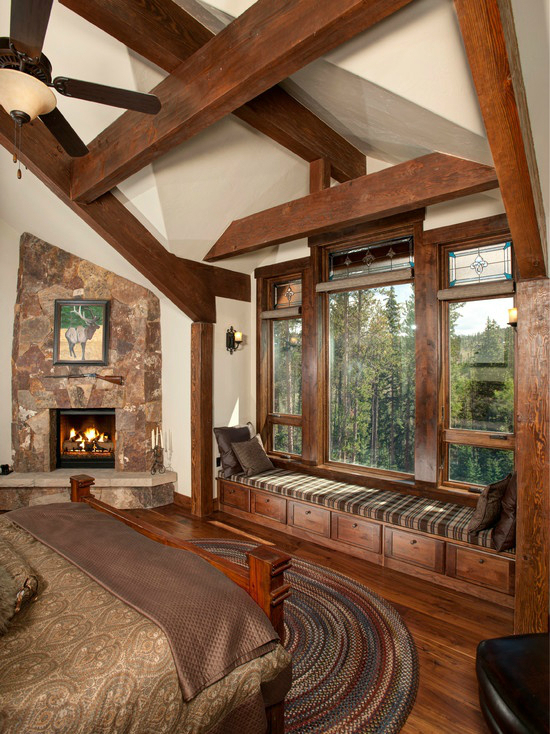 The framed timbers on the ceiling offer a steady frame through the living space while the window walls bring the marvelous views right inside. 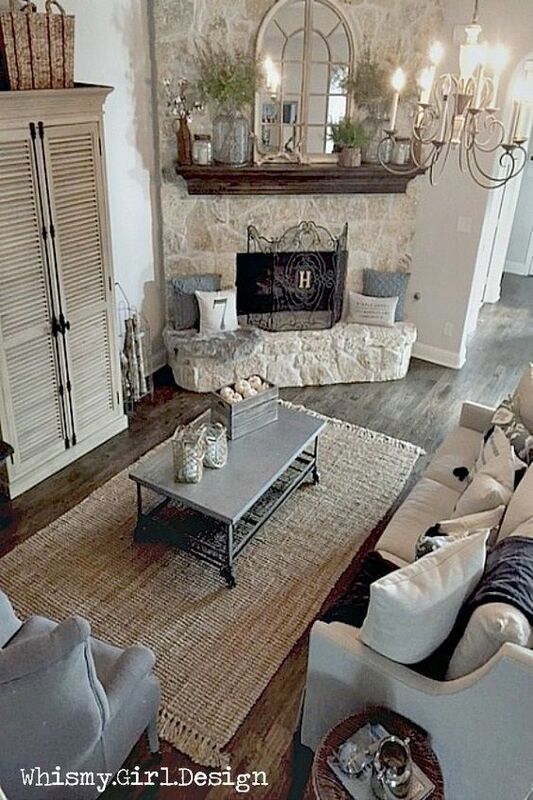 You should definitely add this to your list of living room design ideas with corner fireplace in stone! One of the greatest corner fireplace mantel ideas I’ve found so far! 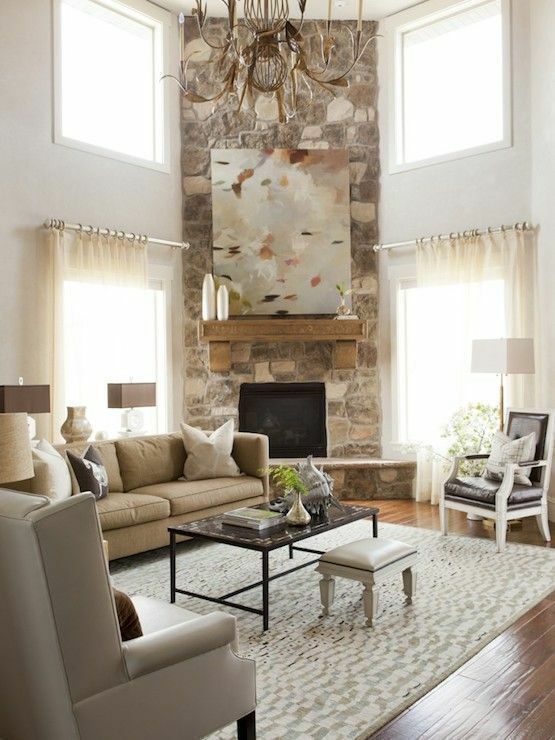 Love the white solid mantel, and the mirror above – it makes the living room look more spacious. What about the slightly perceptible industrial vibe? Stunning! Have you thought that you can add some wall art to all the corner fireplace design ideas so you can make it more unique, more YOU? 11. Bring the Rustic Back! 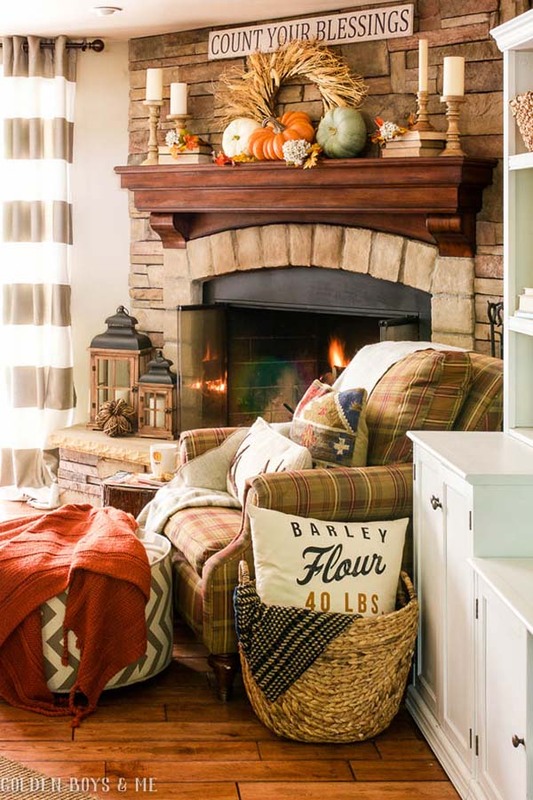 Don’t know about you, but my list of favorite fireplace corner ideas is very long. This white corner fireplace, for instance, is a cool example of how the classic could be naturally paired with some modern elements. The only one thing I would add to this design is more greenery, don’t you agree? 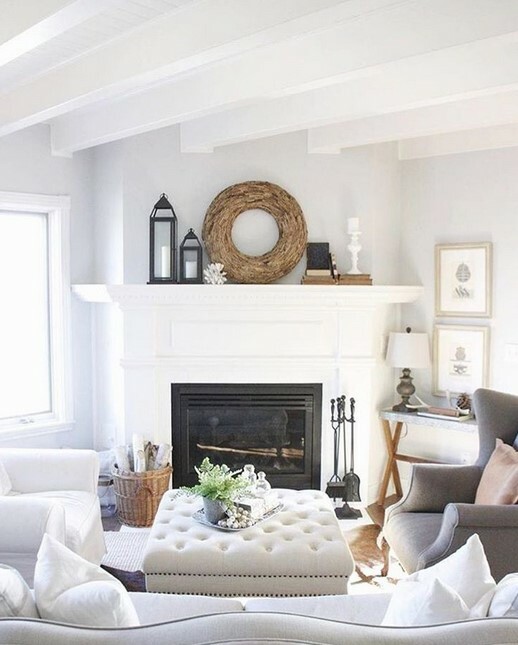 What I really like about this design is the neutral color of the walls and the natural materials used for the corner fireplace and the furniture. Warm and cozy in a simple way! 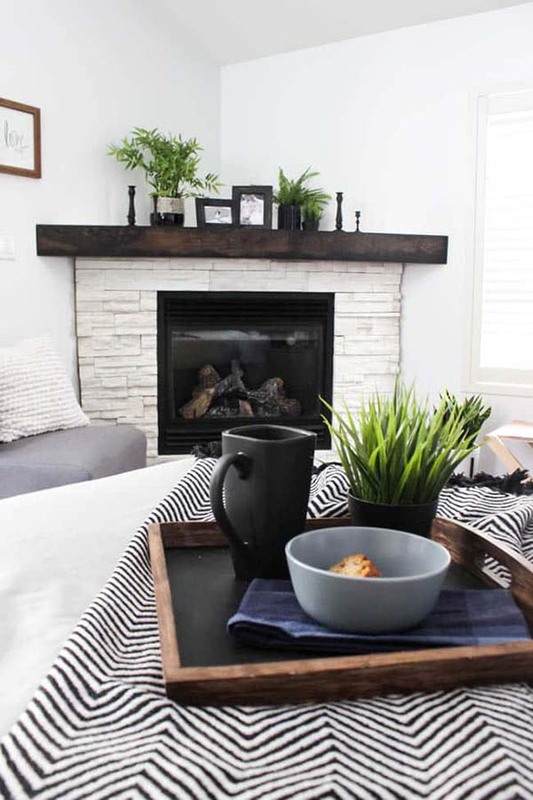 One of the best corner fireplace mantels ideas you can find while searching on the internet is the one that shows you how to transform the mantel into a small art exposition or family portraits fanfare. That could be for sure an appealing addition to your kitchen! Just make sure the corner fireplace decor fits the overall design of the space. 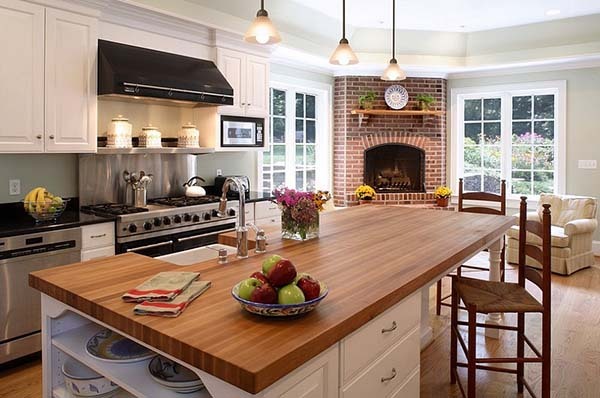 Tip: That would fit better in a more spacious farmhouse-looking kitchen. Playing with the colors is one of the timeless corner fireplace decorating ideas. However, the white is the most elegant color. Plus, it makes your living space look three times bigger than it actually is. 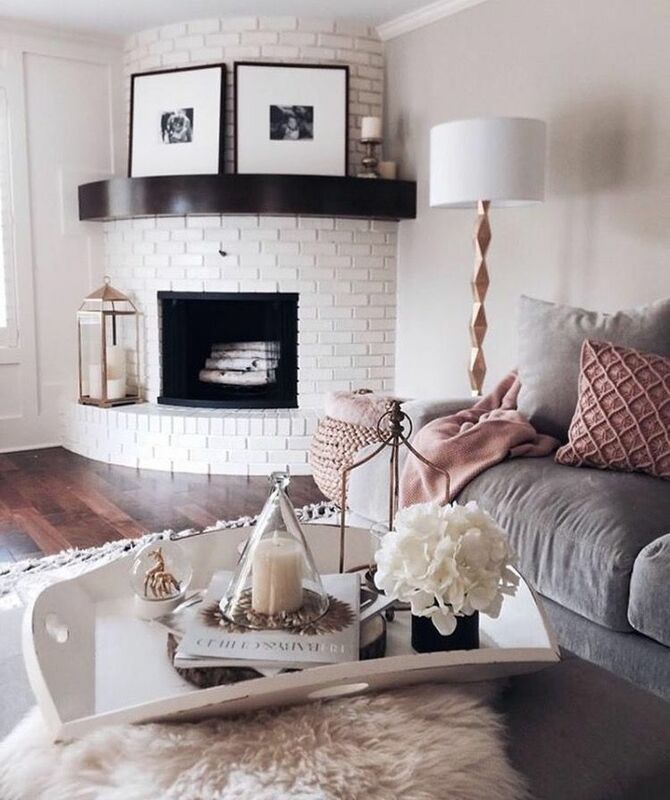 Pinterest is full of living room with corner fireplace decorating ideas that are inspired by Art Deco*. You can create similar effect with tiles. Check our: Fireplace Tiles Ideas Article. *This is an ornamental architecture and art movement that began in the 1920s and developed in the States and Western Europe and then became a major style during the 1930s. 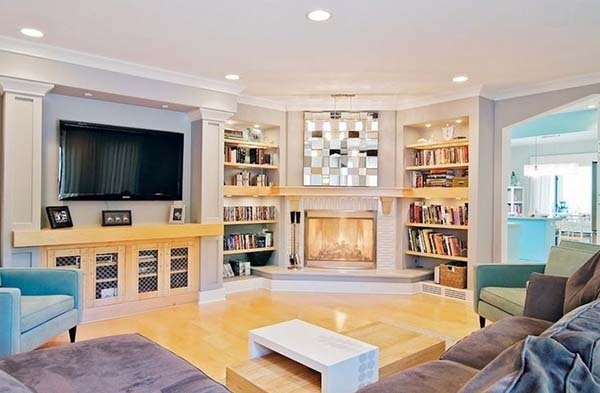 To a vintage living space, as shown in the picture, an old style of white brick corner fireplace is what goes well. Still can’t find your dream corner fireplace decor? 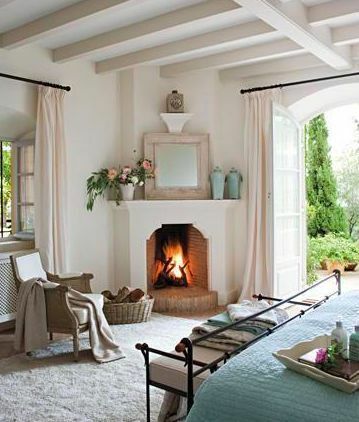 Why don’t you search for some Scandinavian style corner fireplace surround ideas (like this one above)? As opposed to the majority of corner fireplace ideas, the design on the picture shows a cute sitting spot right in front of the corner fireplace. That will definitely make you feel warm and cozy during the cold winter! 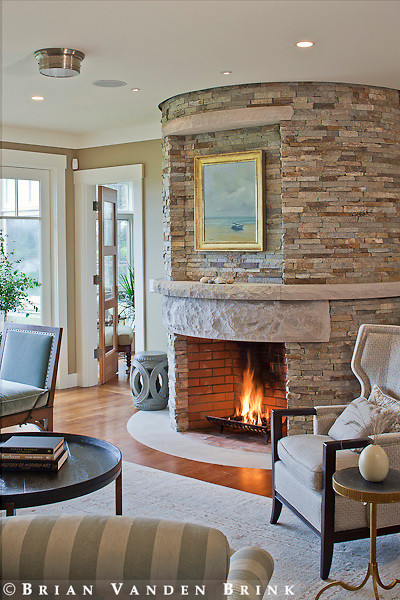 Who said the corner fireplace ideas in stone should be straightforward and literal? 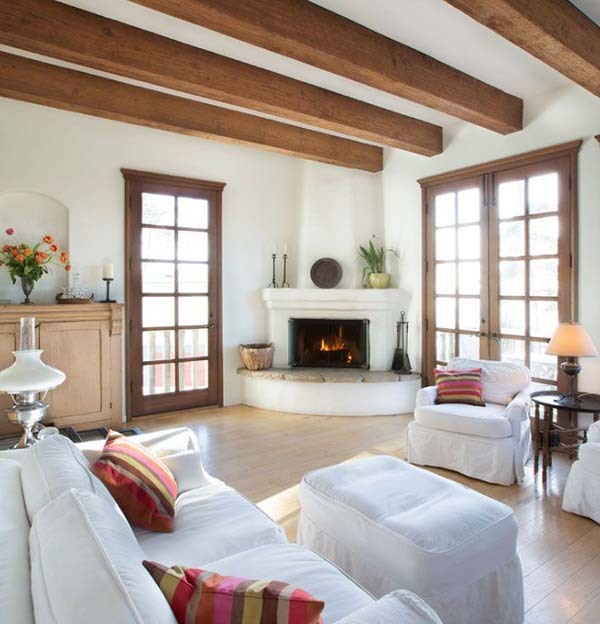 This living space, for instance, is a stylish mixture of colors and styles. 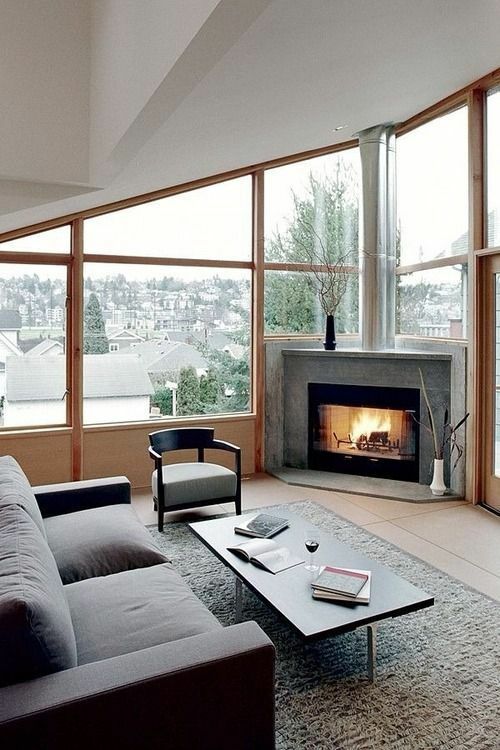 Are you a fan of the modern corner fireplace design ideas? If so, take a look at this stunning centerpiece that complements the minimalistic design of the small living space on the picture. 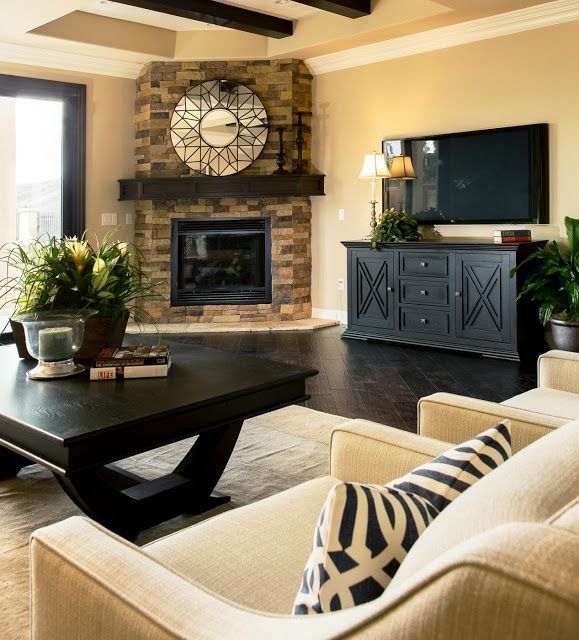 If your room is high-ceilinged, consider adding some elements above the mantel to give the space more volume. 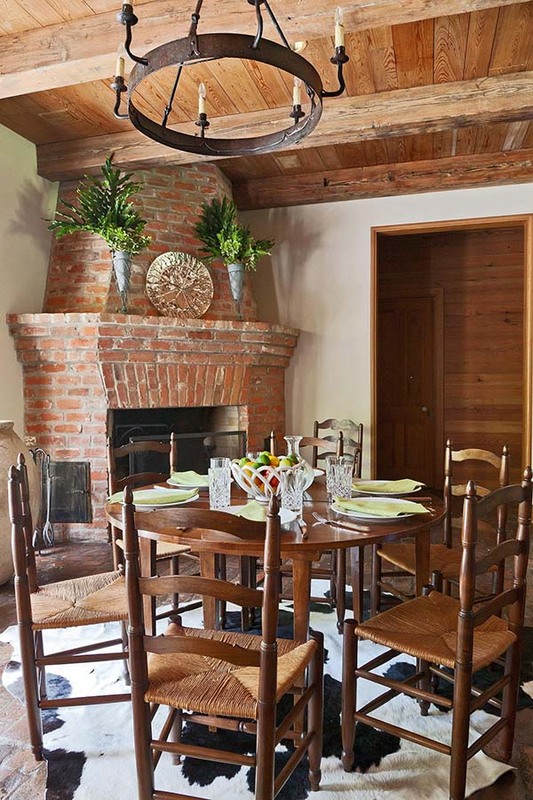 There is this kind of corner fireplace when two rooms, in this case, the kitchen and the dining room, can feel the charm and warmth at once from only one fireplace. Love it! 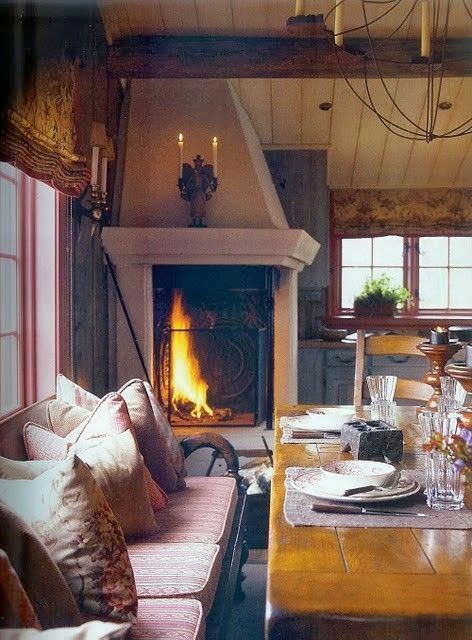 My favorite corner fireplace ideas are usually the ones that experiment with the shapes and the colors. This rounded fireplace makes the entire living space unique and lavish. 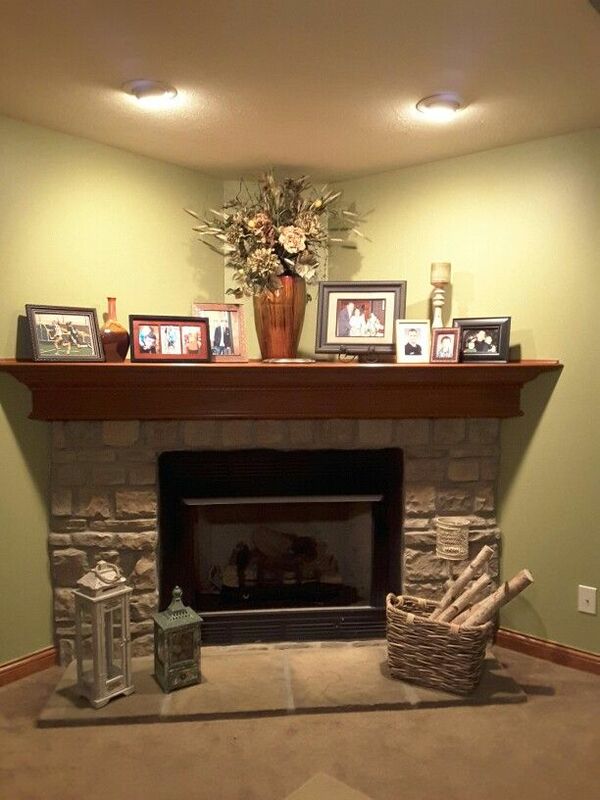 My traditional corner fireplace surely needs one mantel shelf like this one on the picture! This goes to my TOP 3 of DIY corner fireplace design ideas. I fancy the mixture of stone and light-colored wood. Got a good book and some free time? 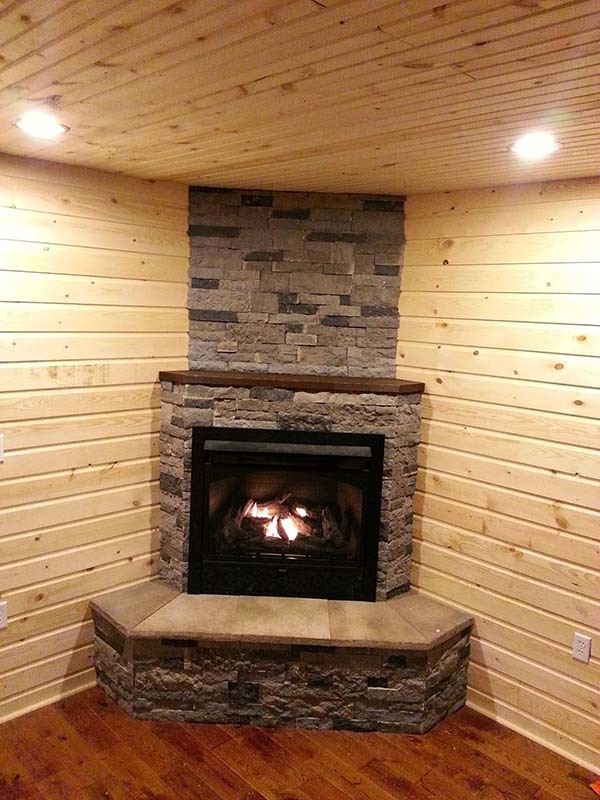 A classic stone corner fireplace is the best choice for this kind of high-ceilinged, lodge style homes. Great interior design, there is nothing unnecessary. 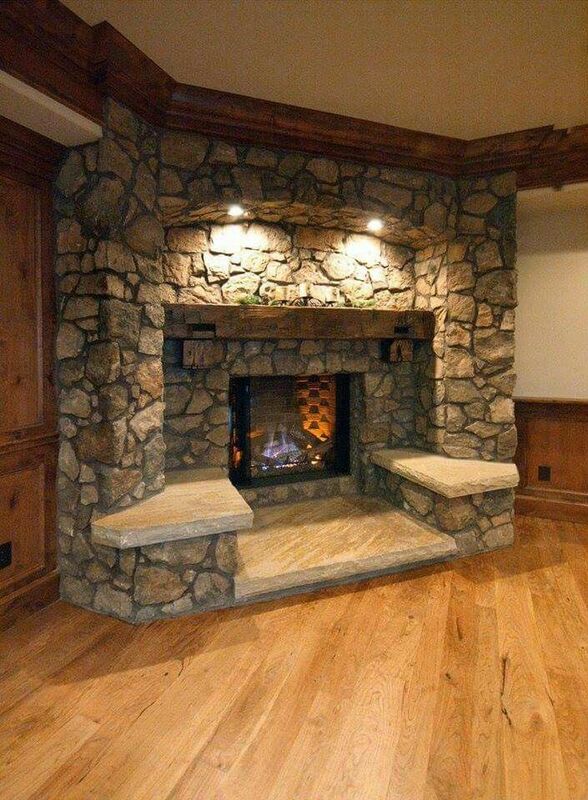 Here is an example of a mountain style medium tone wood design shooting box with a small stone corner fireplace. Here is one of my most preferred corner fireplace ideas for a tiny living room. 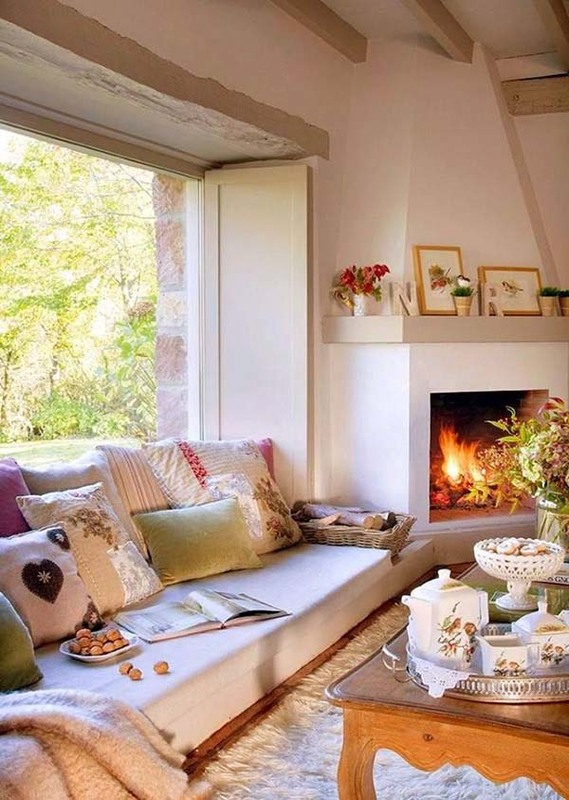 It is so well-decorated, cozy, and relaxing – it calms me down even when I am just looking at the picture! 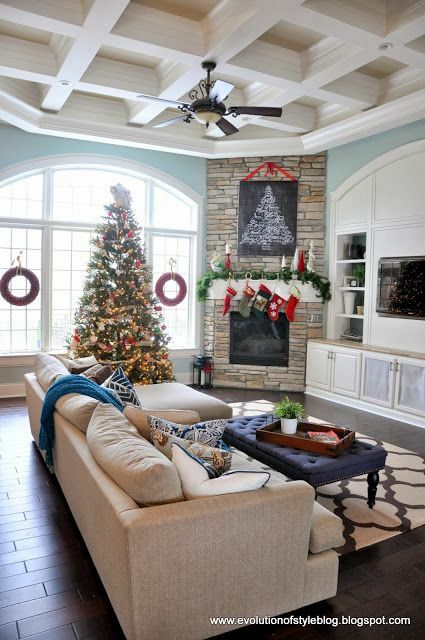 If there is some space above the mantel, that would be a great opportunity to express your style and taste by displaying some piece of art, pottery, or just a green wreath over the fireplace. 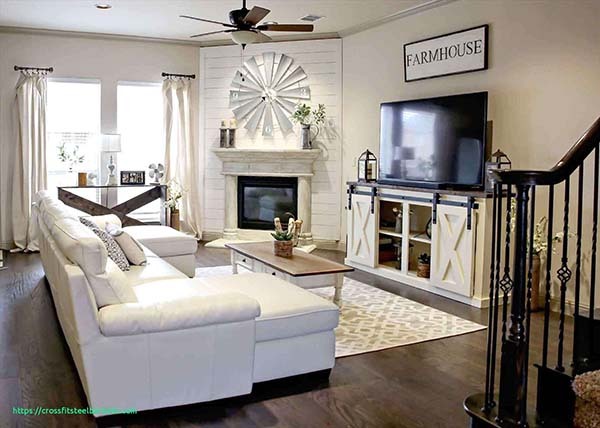 In the end, here is a very bright and cozy, mid-sized traditional farmhouse living room with an elegant corner fireplace. 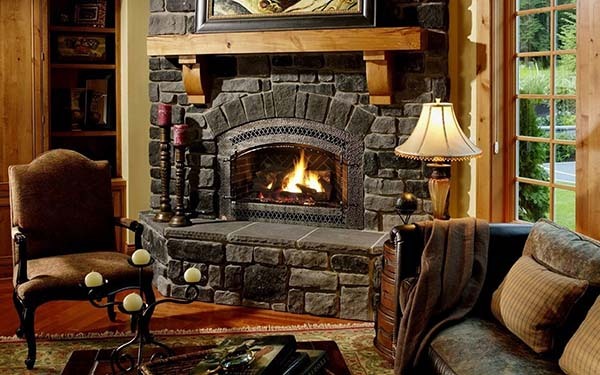 To conclude, the corner fireplace is so much appealing as the typical one, but it is designed for smaller places, where there is not enough place for a regular fireplace.